The 2014 Focused Update uses the GRADE system of evidence evaluation as was the case in the comprehensive 2010 AF Guidelines and the 2012 Update. 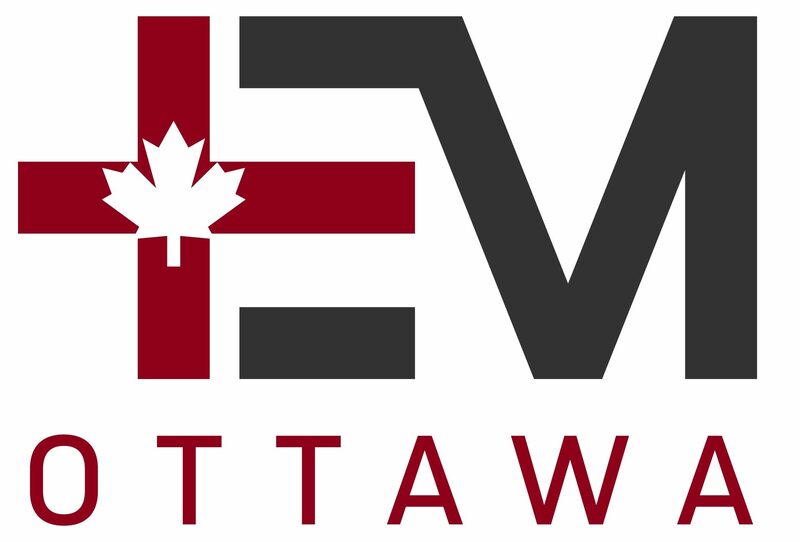 The CCS AF Guidelines Panel is comprised of Canadian cardiologists plus physicians from internal medicine, family medicine, neurology, and emergency medicine. This 2014 Update provides evidence review and recommendations for 8 aspects of AF care, including ED Management (written by myself and Dr. Laurent Macle of the Montreal Heart Institute). 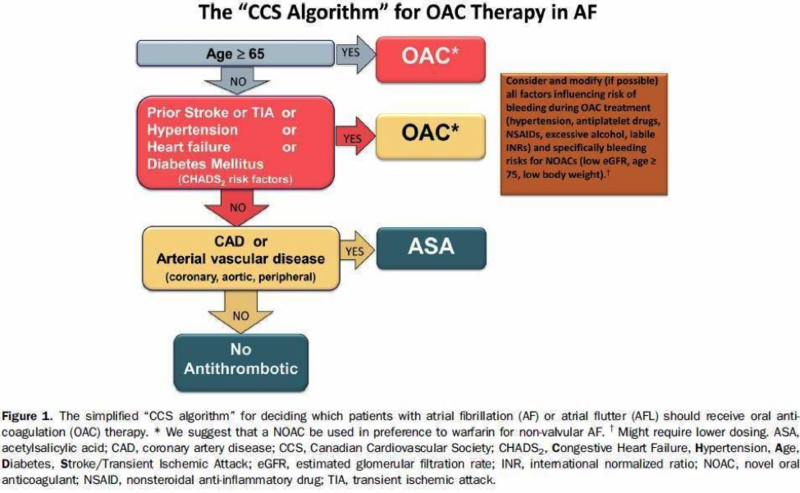 The 2014 Update focuses on advances in oral anticoagulant (OAC) therapy and presents a new “CCS Algorithm” (Figure 1) that will help physicians determine the need for anticoagulation, regardless of whether seen in the office or the ED. For ED physicians, this new algorithm changes the paradigm of our obligation to ensure that AF patients are adequately protected from the risk of stroke. Particularly for recent-onset AF cases where we choose electrical or pharmacological cardioversion, we should consider the indications for prescribing anti-thrombotic therapy on discharge. Oral anticoagulants are now recommended for all AF patients aged 65 or older or who have any one of the traditional CHADS2risk factors of stroke, hypertension, heart failure, or diabetes (remember as CHADS-65). Otherwise, patients with a history of coronary artery disease or arterial vascular disease should be prescribed ASA. 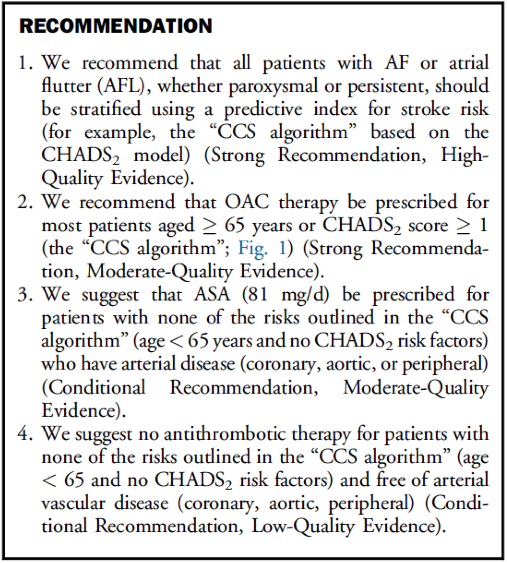 CCS recommends that the first choice for oral anticoagulation should be the novel direct-acting OACs, i.e. NOACs, for non-valvular AF. The big paradigm change is that ED physicians should prescribe OACs to at-risk AF patients before they leave the ED. In the next posting, Part 2, we will look at the updated ED AF Management Algorithmthat stratifies patients by their hemodynamic stability as well as their immediate risk of stroke.